It has been a busy month. Winter finally arrived in North Dakota causing road issues. We are supposed to get a blizzard tonight. I am still hoping it misses us. In February, Z has been busy with swimming. His high school team has done well and so has he. They took 2nd in their Regional tournament last weekend. He will be swimming at the State Meet this coming weekend. JV has had basketball all month long. He is playing in the 7th grade B2 championships tonight. We have hit a hard stretch in homeschooling as well, so busy with that. Junkin’ continues to be slow. Haven’t been able to find time to hit an auction sale with all of the boys’ activities, and the few times I hit a thrift store, there hasn’t been anything of interest. I continue to have some sales in my ETSY Shop, but I have been neglecting my shop, so I need to refocus on my shop next month. In between all of that I joined LOAD with Lain Ehmann. Yes, I am crazy. I have been doing a layout almost every day. I think I missed 2 days. 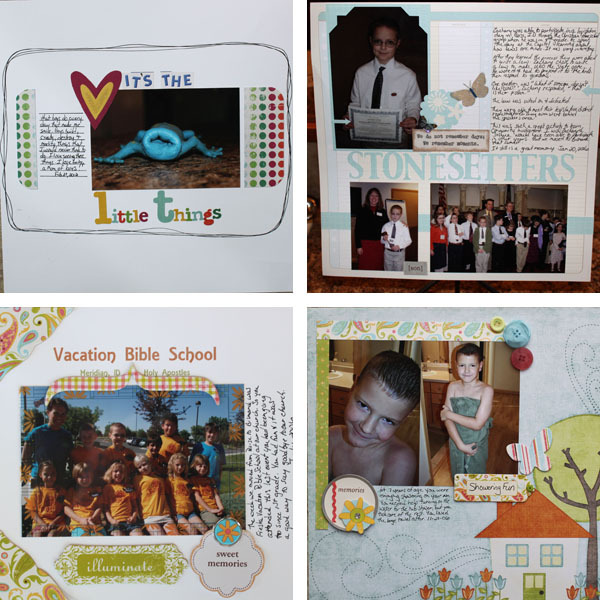 This has fit in well with my Twelve class, but I have not been keeping up on the homework.The prompts have been on Past Perfect so many of my layouts are from the past, but not all. 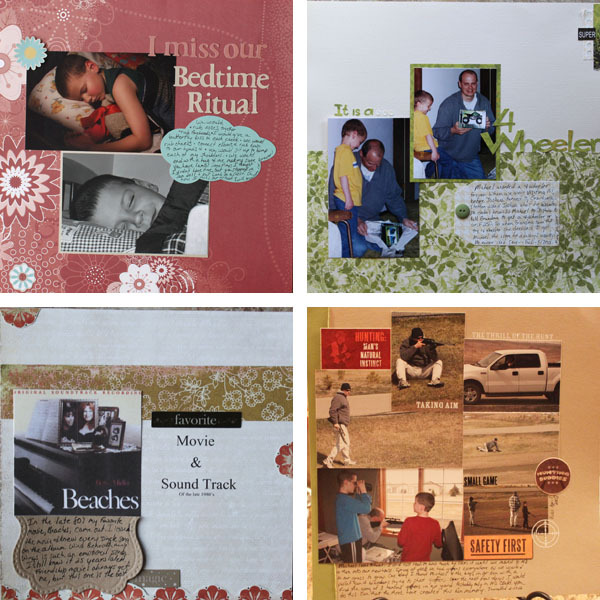 I thought I would share many of the layouts I created. These layouts are all 12×12 or 8×8. If you want to see them with more information, you can go to my Flickr page for more details. Come back tomorrow to see more layouts of all sizes. 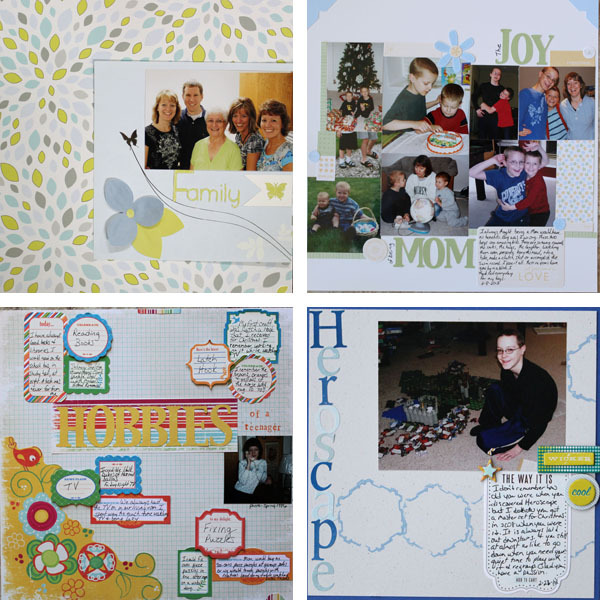 This entry was posted in My Layouts by Karen Grosz. Bookmark the permalink.